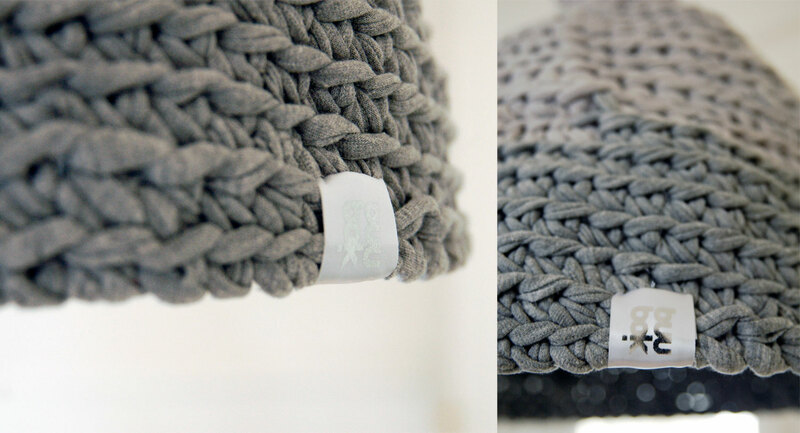 Gray is trendy, always in and universal – suitable for every decor style. 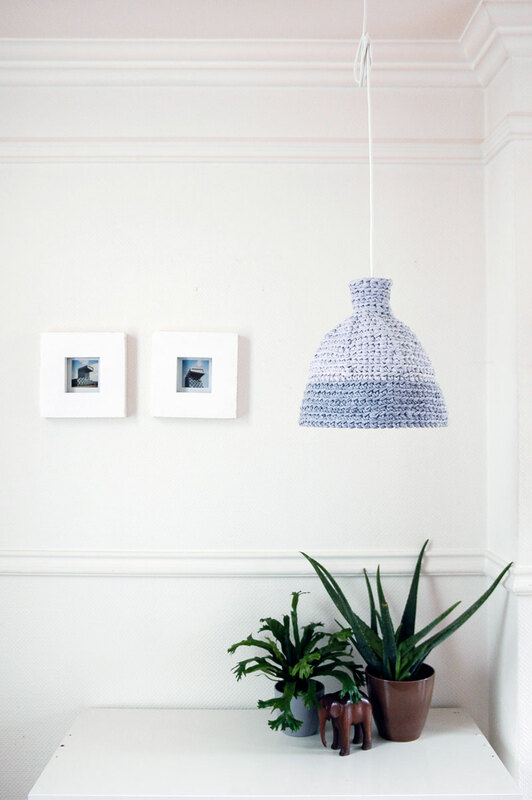 This crocheted pendant lampshade in modern design add character to your interior. Interesting shape will enliven any room. Maintained in the gray tones: dark gray at the bottom and light gray on top. The lampshade is ready to hang. It’s easy to mount on the wire cord with a connection to the installation. Can be used any cord you like. 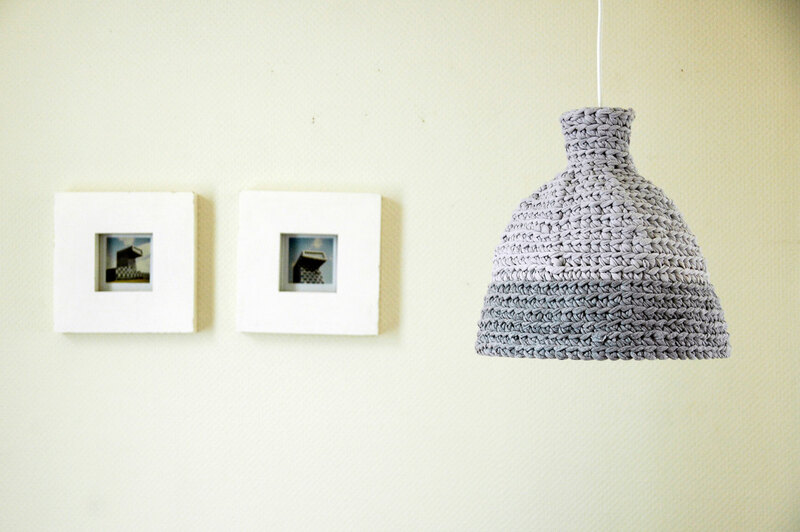 Lampshade is equipped with a standard handle to the cable. Suitable for lamp holders with a diameter of E 27 (hole diameter 4 cm – 1,57 “). Nicely admit light, each evening will be a beautiful addition to any room. Suitable very well for every kind of interior, also for children’s rooms because is unbreakable. Absolutely exceptional object, a single copy, which will never be repeated. This is artful recycling at its best, piece of ecological design. 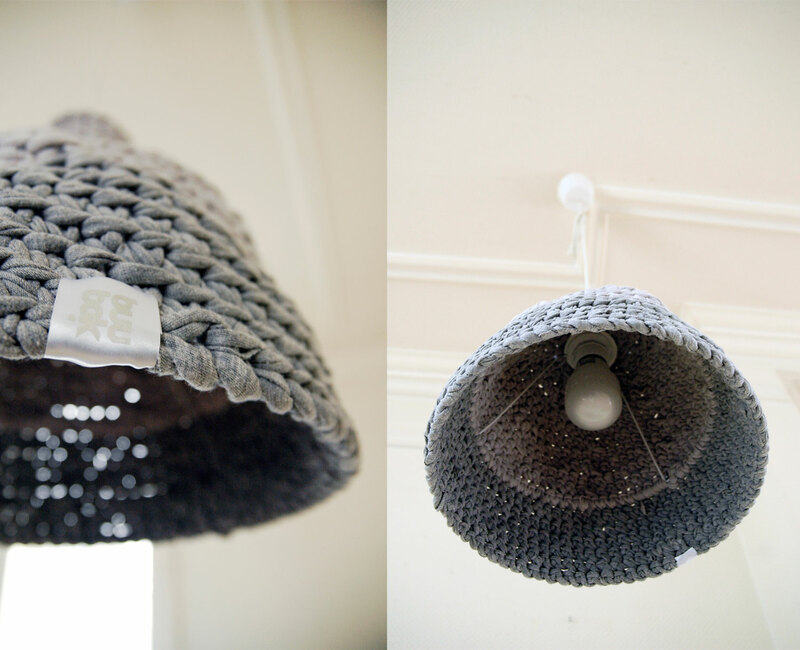 It’s made from hand-cutted recycled material from salvaged fabric. For this reason, the color and thickness may vary. The material is mostly cotton, but may include synthetic fibers. 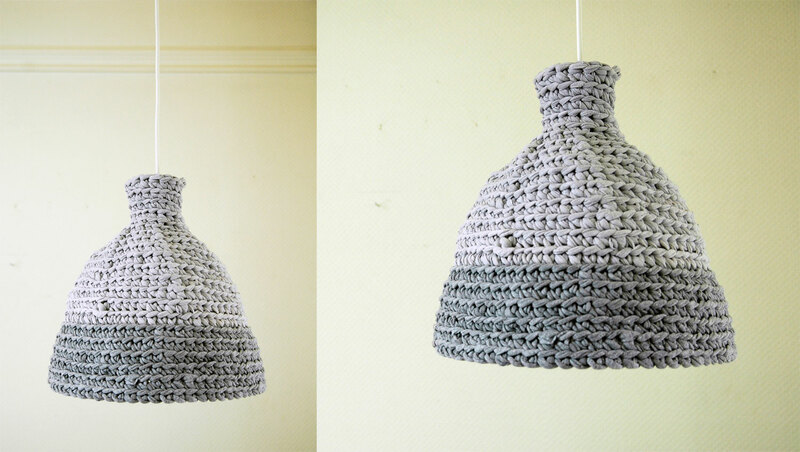 Lamps made from this material are durable and resistant. 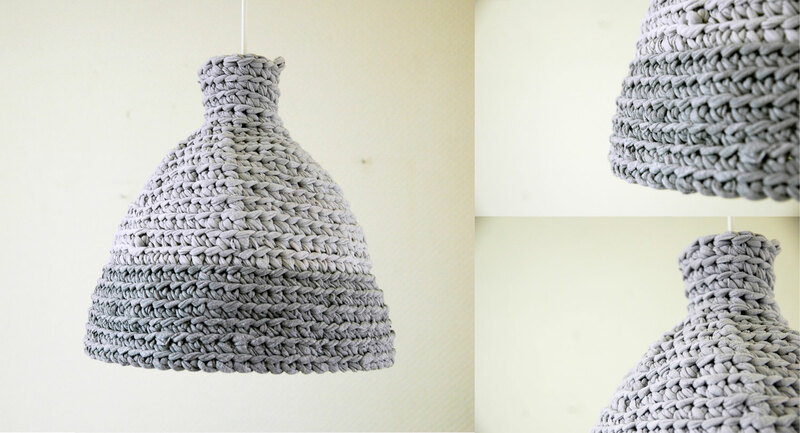 Size: aprox 30 – 25 cm [11,8 – 9,8“] (diameter at bottom & middle),35 cm [13,7 “] high of lampshade. Lampshade holder: common screw-mount size normal E27 (hole diameter 4 cm – 1,57 “). For your SAFETY use ONLY with an environmentally friendly energy saving bulb (ECO or LED bulbs – there is no heat emission). DO NOT use with incandescent bulbs they could become too hot!!! As with any light fixture, this light should not be left unattended. 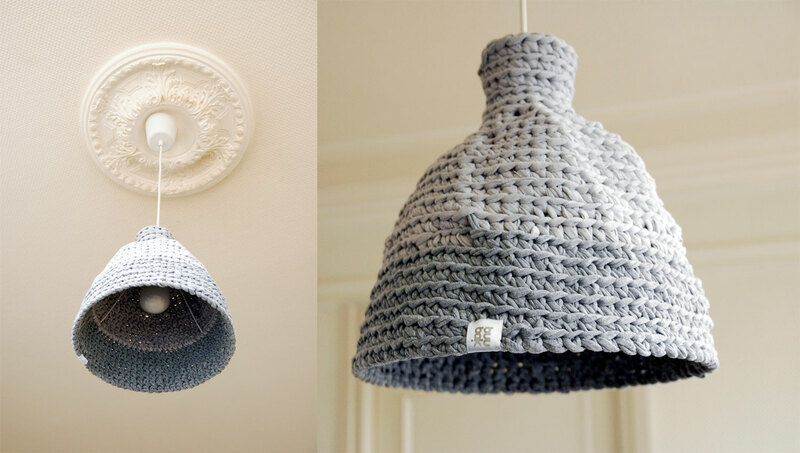 I love this approach to repurposing fabric – very clever and elegant.